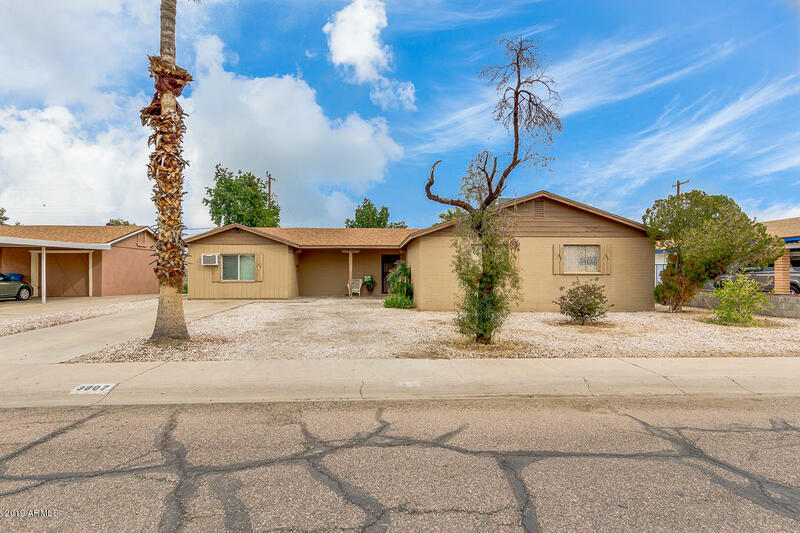 All MARYVALE TERRACE 3 AMD homes currently listed for sale in Phoenix as of 04/23/2019 are shown below. You can change the search criteria at any time by pressing the 'Change Search' button below. "Take a look at this beautiful home! Gorgeous tile throughout the house and carpet in the rooms. The whole house has been updated including the kitchen and the bathrooms. Cool down and take a dip in the pool on those hot summer days! Pool is also gated to keep the kids safe. AMAZING location close to Walmart, Grand Canyon University Golf Course, local schools and only 2 short miles away from the I-10!!"